Do you like wine? Perhaps you’ve been considering an art purchase from my gallery? This is your chance to gaze at some new art while enjoying a glass of wine! 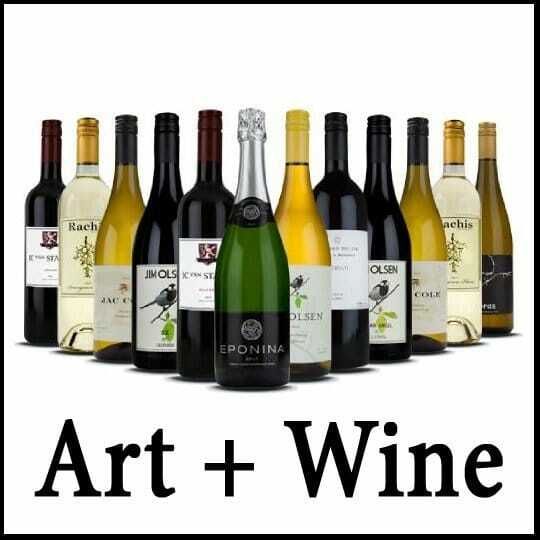 Art + Wine = Win? I just got word that for the whole month of July, if you make a purchase, Fine Art America will send you a $100 certificate good for your first purchase from NakedWines.com. Right after you make your purchase, Fine Art America will send you first a confirmation email for your order and then a second email with the certificate code. Here are the pertinent details. While there is a minimum purchase on Nakedwines.com with your voucher, there’s no minimum on your art purchase. Buy a small print for a gift or buy a large canvas print for yourself, either way you’ll get the $100 certificate. Sounds like a good deal if you like art and wine doesn’t it? And do share with your friends! Did You See The Moving Vans? Ah, and no, wine is not on the agenda for my summer vacation… For those who noticed that I had been quiet the past week or two, it’s because I’ve gotten embroiled in a little unplanned project. I may post more on the subject in the future. But for now the short story is that after four years with a Zenfolio account, I decided it was time to close that account and concentrate on my own site. It’s funny that in four years I’ve come full circle. At the time, I left a home-brewed site to let Zenfolio handle all the heavy-lifting. Now, I’m basically back there again. Print fulfillment will be handled by Fine Art america, but the beauty of having my own site is that if that should change years down the line, I can just point the print mechanism elsewhere. My account with Zenfolio ends in August, hence I have a bit over a month to transition my artwork over. Externally, though, the switch has been thrown already. If you visit my art gallery today, you can see the ‘new house’ before I get entirely moved in. Lots of rooms to fill but I like the decor! Hope you do, too. All in all, it’s a good opportunity to tidy things up. Plus I’m very much enjoying the chance to have full control over the presentation of my artwork. Anything worth doing is worth doing well, eh? See you on the other side of summer!